Scroll down the page, past the banners, and you will find the results of raffles drawn within the past 12 months listed in date order. 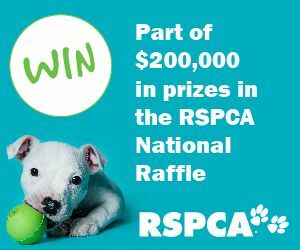 RSPCA National Lottery helps care for over 120,000 animals that come through their doors each year. Help them to help our furry friends and buy a ticket today. You could win part of $200,000 in prizes. WA supporters please click below. Sometimes the published results of raffles are difficult to find. In addition to providing a convenient platform for not for profit's to publish results, RaffleResults.com.au seeks to help people who have bought raffle tickets and have been unable to check results. 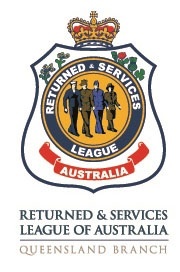 If you have been unable to find the results of a particular raffle, lottery or art union raffle on this page please let us know: e-mail the details to geoff@raffleresults.com.au and we will do our best to obtain the information. THANK YOU FOR SUPPORTING AUSTRALIAN CHARITY RAFFLES. 1st Prize: 224178, 2nd Prize: 057931, 3rd Prize: 249943. 1st Prize: 6104, Autobuy Prize: 2367. Guide Dogs Victoria Raffle # 1. 1st Prize: 143,928, 2nd-10th Prizes: 511835, 463864, 368252, 7392, 660951, 55558, 469551, 367128, 656032. 1st Prize: 91486, Early Bird: 423169. 1st Prize: 62995, 2nd Prize: 147780, 3rd Prize: 40653. Sporting Wheelies & Disabled Assn Gold Choice Lottery # 319. Prizes 1-6: 630006239, 631420265, 631423314, 633031121, 631232527, 630352351, Bonus Draw: 631112341. 1st Prize: 81050, 2nd Prize: 77605, 3rd Prize: 60117. 1st Prizes: 6089 & 29479. 1st Prizes: 2901 & 11071. 1st Prize: 3100, Autobuy Prize: 2906. 1st Prize: 307995, 2nd Prize: 080398, 3rd Prize: 046437. 1st Prize: 75849, 2nd Prize: 40781. MS SA & NT Red Hot Summer Lottery. 1st Prize: 1838, 2nd Prize: 3719, 3rd Prize: 1455, 4th-9th Prizes: 186, 1411, 1918, 4407, 4849, 5391, 10th-21st Prizes: 280, 318, 355, 414, 874, 1257, 1405, 1672, 2210, 2770, 3595, 5381. Multi Buyer Prize: 3478. 1st Prize: 2053, Autobuy Prize: 3170. Lions Club of Rye Boat Raffle. 1st Prize: 21193, Multiple Ticket Prize: 5795, VIP Prize: 33128. 1st Prize: 77715, Early Bird: C from NSW, Credit Card Bonus & Monthly Supporter Winner: D from NSW, Regular Raffle Supporter Winner: M from Vic. 1st Prize: 207417, 2nd Prize: 296489, 3rd Prize: 229668, Other Prizes: 1913767, 2063915, 2102319, 688835, 1620968.
yourtown Prize Home # 482. Thorndale Foundation Christmas Boat Bundle Raffle. 1st Prize: 351737, 2nd Prize: 123574, Book Sellers: from Darley, VIP Club: from Broadford, Early Birds: from Mooroolbark, Mill Park and Eaglemont. 1st Prize: 5195, 2nd Prize: 14700, 3rd Prize: 19474, 4th Prize: 4653. 1st Prize: 1062402, 2nd Prize: 1638708, 3rd Prize: 1424555. 1st Prize: 3672, Autobuy Prize: 2455. 1st Prize: 26572, Star Supporter: 246597, Early Bird : 232930. Australian Red Cross National Raffle # 40. 1st Prize: 87119, Monthly Raffle Prize Winner: C from Crestwood NSW, Regular Raffle Prize Winner: M from Bentleigh Victoria, Credit Card Bonus Winner: J from Korumburra Victoria, Early Bird: J from Kyogle NSW. 1st Prize: 337170, 2nd Prize: 250357, Book Sellers Prize: Winner from Kangaroo Ground, VIP Prize: From Kangaroo Flat, Early Bird 17/8 from Balwyn North, Early Bird 31/8 from Bayswater, Early Bird 21/9 from Collinsville. 1st Prize: 106005, 2nd Prize: 110877, 1st EB: 268917, 2nd EB: 53170, Book Sellers Prize: 156143. 1st Prize: 2994548, VIP: 5446884, 2501686. 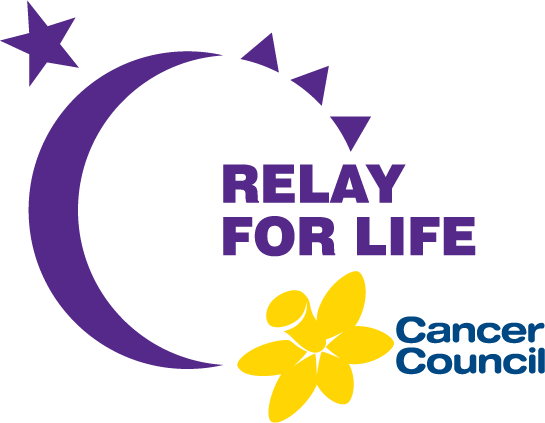 Cancer Council WA Relay for Life Raffle. 1st Prize: 068333, 2nd Prize: 045490, 3rd Prize: 71303. This raffle has been extended by one week to 26.10.18. Hopefully the results will be available the week commencing 29.10.18. 1st Prize: 2242055, 2nd Prize: 1017764, 3rd Prize: 2042117, Other Prizes: 169273, 45109, 253436, 201671, 102681. Epilepsy Centre SA & NT in It To Win It Lottery. 1st Prize: 4402, 2nd Prize: 2357, 3rd Prize: 1618, 4th-9th Prizes: 802, 1932, 2025, 3025, 3675, 4725, 10th-21st Prizes: 547, 853, 875, 1384, 1674, 3072, 3193, 4141. 4340, 4580, 4622, 5468, Multi Buyers Prize: 3163. 1st Prize: 28316, 2nd Prize: 8903. 1st Prize: 280596, Other Prizes: ? 1st Prize: 5613, 2nd Prize: 6302. 1st Prize: 236, Autobuy Prize: 2590. 1st Prize: 36317, 2nd Prize: 37571, 3rd Prize: 10656, 4th Prize: 26551, 5th Prize: 30372. 1st Prize: 11016, 2nd Prize: 3841, 3rd Prize: 264, Club MS Prize: 3777. 1st Prize: 60261, Early Bird: 448480. 1st Prize: 2180006, 2nd Prize: 817627, 3rd Prize: 914715, Other Prizes: 2131528, 1295592, 1586361, 1091053, 425718. 1st Prize: 7158, 2nd Prize: 1252, Autobuy Prize: 2333. 1st Prize & Multi Ticket Buyer Prize: 975. 1st Prize: 3060684, 2nd Prize: 3182796, 3rd Prize: 176368, Other Prizes: 1088184, 1843364, 500695, 1893711, 906755.
yourtown Prize Home Draw # 478. 1st Prize: 223864, 2nd Prize; 165640, 3rd Prize: 039267. 1st Prize: 509368, Early Bird: 279118, Star Supporters Bonus Draw: 314244. 1st Prize: 400019475, 2nd Prize: 400045062, 3rd Prize: 400048536. 1st Prize: 3295, Autobuy Prize: 2253. Gold Choice Art Union # 312. 1st Prize: 306063, Monthly Raffle Prize Winner: T from West End, Regular Raffle Prize Winner: A from Northwood, Credit Card Bonus Prize Winner: C from Padstow, Early Bird Winner: N from Ironbark. 1st Prize: 248274, 2nd Prize: 472589, Book Sellers Prize: from Northcote, VIP Prize: from Somerville, Early Bird 18/5 from Alexandra, EB 1/6 from Maidstone, EB 22/6 from Altona Meadows. 1st Prize: 3305, 2nd Prize: 196, 3rd Prize: 3327, 4th-9th Prizes: 875, 1468, 2073, 2979, 3624, 3829, 10th-21st Prizes: 654, 675, 1707, 2588, 3248, 3454, 3742, 4043, 4080, 4236, 4244, 4744, Multi Buyer Prize: 44. 1st Prize: 1679, 2nd Prize: 124863, Book Sellers Prize: 4536, 1st EB 1.6.18 53837, 2nd EB 15.6.18 139427. 1st Prize: 1047901, 2nd Prize: 2308572, 3rd Prize: 2507627, Other Prizes: 2165147, 1229966, 533069, 1303104, 1139462. 1st Prize: 86476, 2d Prize: 59914, 3rd Prize: 146226, Booksellers Prize: 70206. 1st Prize: 57795, Early Bird: 18952. 1st Prize: 276089, 2nd Prize: 034606, 3rd Prize: 091240. 1st Prizes: 2762 and 656. 1st Prize: 12395, 2nd Prize: 18235, 3rd Prize: 11067, Club MS Prize: 5353. 1st Prize: 560102850, Early Bird: 560085965. 1st Prize: 339458, Early Bird: 288660, Star Supporter Bonus Car Draw: 343082. 1st Prize: 176126, 2nd Prize: 387551, Book Sellers: from Kew, VIP: from Toorak, EB's: from Frankston, Merbein South and Montmorency. 1st Prize: 262837, Early Bird Prize: K from Medowall, Qld, Credit card Bonus Winner: R from Malvern East, Victoria, Monthly Supporter Winner: B from Gunnedah, NSW, Regular Raffle Supporter Prize: P frm Hawthorndale, SA. 1st Prize: 436248, 2nd Prize: 543047, 3rd Prize: 858529, Other Prizes: 557132, 442630, 1994108, 587867, 400607. 1st Prize: 308515, 2nd Prize: 038960, 3rd Prize: 116106. 1st Prize: 2963, Autobuy Prize: 2100. 1st Prize: 14416, Multi Ticket Prize: 9338, VIP Prize: 19688. 1st Prize: 3361, 2nd Prize: 3980, 3rd Prize: 1216. RSL # 354. 26 April 2018. 1st Prize: 774090, 2nd Prize: 600595, 3rd Prize: 631296. Other Prizes: 1539241, 1278630, 1721854, 1150865, 567537. 1st Prize: 190449, 2nd & 3rd Prizes? 1st Prize: 628, 2nd Prize: 5139, 3rd Prize: 2983, 4th-9th Prizes: 43, 197, 746, 2820, 4988, 5253, 10th-21st Prizes: 333, 712, 908, 977, 1271, 1974, 2195, 2934, 3507, 3573, 3952, 4518, Multi Buyer Prize: 1542. 1st Prize: 86031, Monthly Raffle Prize Winner: M of Flagstaff Hill, Regular Raffle Prize Winner: J of Winston Hills, Credit Card Bonus Winner: Z of Burwood, Early Bird Winner: L of Ringwood. 1st Prize: 5502, Club MS Prize: 5166. 1st Prize: 7497, Autobuy Prize: 8221. 1st Prize: 14026, 2nd Prize: 3737, 3rd Prize: 10288, Club MS Prize: 295. 1st Prize: 601208506, 2nd Prize: 601482395, 3rd Prize: 602175658, 4th Prize: 600249102, 5th Prize: 601629296, VIP Prize: 605010569. 1st Prize: 59381, 2nd Prize: 59263, 3rd Prize: 40359. 1st Prize: 2479924, 2nd Prize: 240964, 3rd Prize: 1928297, Other Prizes: 340324, 1249801, 900212, 1050607, 1727055. 1st Prize: 5343, Autobuy Prize: 3430. 1st Prize: 121628, 2nd Prize: 142659, 3rd Prize: 304789. 1st Prize: 135888, 2nd Prize: 105880, Book Sellers Prize: 218231, 1st Early Bird: 252046, 2nd Early Bird: 155954. 1st Prize: 338106, Early Bird: 145997. 1st Prize: 49202, Monthly Prize Winner: P of Burnett Heads, Regular Raffle Prize Winner: M of Horsham, Credit Card Bonus: K of Redwood Park, Early Bird Winner: J of Emerald. 1st Prize: 51248, Early Bird: 17660. 1st Prize: 952759, VIP: 5111766, 1635281. 1st Prize: 540031246, Early Bird Prize: 540003252. 1st Prize: 5072, Autobuy Prize: 2021. 1st Prize: 1328252, 2nd Prize:1996052, 3rd Prize:1962300, Other Prizes: 1112900, 1904304, 651119, 2841797, 1152273. 1st Prize: 362830, 2nd Prize: 092702, 3rd Prize: 183259. 1st Prize: 4889, 2nd Prize: 3525, 3rd Prize: 3074, 4th - 9th Prizes: 540, 2495, 3054, 4584, 4641, 5240, 10th - 21st Prizes: 754, 796, 1418, 1609, 1638, 2308, 2959, 4196, 4468, 4712, 4740, 4780, Multi Buyer Prize: 2102. 1st Prize: 2242, Multi Ticket Prize: 1306. 1st Prize: 57927, Monthly winner: P of Kyabram, Regular Prize Winner: Mr & Mrs G Wantirna South, Credit card Bnus Winner: J of Korumburra, Early Bird Winner: M of Meningle. 1st Prize: 3819, 2nd Prize: 4405. 1st Prize: 194099, 2nd Prize: 2212733, 3rd Prize: 212247, Other Prizes: 240492, 1172958, 896024, 1100161, 902206. 1st Prize: 530042490, Early Bird: 530122690. 1st Prize: 623024948, 2nd Prize: 620019354, 3rd Prize: 625009043, 4th Prize: 620449514, Runners Up: 625251586, 625215176, 625056281. 1st Prize: 14221, 2nd Prize: 12652, 3rd Prize: 8106. 1st Prize: 83244, 2nd Prize: 82384, 3rd Prize: 99723, Booksellers Prize: 9431. 1st Prize: 93779, 2nd Prize: 300246, 3rd Prize: 426847, VIP Prize: From Portland, EB 6/10: From Werribee, EB 3/11 From Hawthorn. 1st Prize: 9433, 2nd Prize: 468, 3rd Prize: 12236, Club MS Prize: 5788. 1st Prize: 81136, 2nd Prize: 14669, 3rd Prize: 60046. 1st Prize: 87031, Early Bird: 259741. 1st Prize: 1273028, 2nd Prize: 1861044, 3rd Prize: 546792, Other Prizes: 1415710, 3056367, 1083597, 2116231, 653398. 1st Prize: 174350, RRPWinner: R from Coorparoo, CCBWinner: P from Arrawarra, EBWinner: A from Sefton Park. 1st Prize: 340049349, Book Buyers Prize: 340124391, Friends Only Draw: 340118259. 1st Prize: 4653, Autobuy: 4378. 1st Prize: 43818, Early Bird: 78239. 1st Prize: 46718, 2nd Prize: 135198, 3rd Prize: 312222, Book Sellers & VIP Club Winners: Both from Eltham, Early Bird Prize Winners: From Darlington and Melton. 1st Prize: 4114, 2nd Prize: 633. 1st Prize: 3056573, 2nd Prize: 1266485, 3rd Prize: 1456930, Other Prizes: 678443, 2390893, 1176424, 1601141, 794457. Click image and have your ticket number handy. 1st Prize: 8661, Club MS Prize: 4789. 1st Prize: 5909, Autobuy Prize: 7790. 1st Prize: 039730, 2nd Prize: 317028, 3rd Prize: 108980. Click on link www.rmhhomelottery.com.au and have your ticket number ready. 1st Prize: 691, 2nd Prize: 5750, 3rd Prize: 3189, 4th-6th Prizes: 26, 892, 2190, 7th-10th Prizes: 2045, 2275, 3534, 3666, Multibuyer Prize: 3673. 1st Prize: 7715, 2nd Prize: 15408, 3rd Prize: 14008, Club MS Prize: 3554. 1st Prize: 220304, 2nd Prize: 13241. 1st Prize: 159415, Regular Raffle Prize Winner: Jean of Bowning NSW, Credit Card Bonus Winner: Marcello of Fawkner Vic, Early Bird Winner: Winsome of Toowoomba Qld. 1st Prize: 4840, Prizes 2-14: 96, 1076, 683, 4026, 1271, 3760, 2325, 4370, 4031, 101, 3467, 1209, 6282. 1st Prize: 24818, VIP Prize: 15271. 1st Prize: 2848, 2nd Prize: 1866, 3rd Prize: 9503. 1st Prize: 215263, 2nd Prize: 226375, 3rd Prize: 246239. 1st Prize: 3207, Autobuy Prize: 5649. 1st Prize: 419479, 2nd Prize: 498629, 3rd Prize: 1863997, Other Prizes: 1810054, 1382194, 1622449, 1440052, 1062850. 1st Prize: 600244486, 2nd Prize: 600209828, rd Prize: 600051468, 4th Prize: 601241694, Runners Up: 600292425, 600235063, 600263797. 1st Prize: 281, 2nd Prize: 2282, 3rd Prize: 316, 4th Prize: 3499, 5th Prize: 3010, 6th - 15th Prizes: 3313, 4122, 2615, 3832, 759, 545, 3698, 1932, 1429, 1915. 1st Prize: Anna Myers, 2nd Prize: Melissa Laird, 3rd Prize: Isma Chiera, 4th Prize: Monika Latmer. 1st Prize: 182267, Early Bird: 246681. 1st Prize: 3275, Autobuy Prize: 4408. Prizes 1 - 5: 580239990, 583013092, 580288889, 580387786, 581495106, VIP Pet Supporters: 580266592. 1st Prize: 172434, Regular Raffle Supporter Prize: T of Lara, Credit Card Bonus Prize: T's of McKinnon, Early Bird Prize: R of Mornington. 1st Prize: 273526, 2nd Prize: 20616, 1st EB: 97639, 2nd EB: 30091. 1st Prize: 26915, 2nd Prize: 151016, 3rd Prize: 10308, NS: 23729. 1st Prize: 11980, 2nd Prize: 55238, 3rd Prize: 48843. 1st Prize: 7159936, VIP 537111. 1st Prize: 336386, 2nd Prize: 519843, 3rd Prize: 520017, Book Sellers: from Rosebud, VIP: Bright, Early Bird: Greensborough, Melton West. 1st Prize: 330050214, Book Buyers: 330105846, Friends Only: 330110170. 1st Prize: 12048, VIP: 8639, Face to Face: 716. 1st Prize: 962, 2nd Prize: 3162, 3rd Prize: 1160, 4th Prize: 10326. 1st Prize: 13480, 2nd Prize: 18675, 3rd Prize: 15670, 4th Prize: 197, 5th Prize: 25696, 6th Prize: 220. 1st Prize: 500079148, Early Bird: 500098999. 1st Prize: 530086, Early Bird: 117153, Star Supp: 159312. 1st Prize: 2560388, 2nd Prize: 531925, 3rd Prize: 356667, Other Prizes: 1452930, 1502595, 461127, 722150, 1232519. 1st Prize: 95553, Other Prizes: 180716, 52886, 121309, 91194, 152534, 133047. 1st Prize: 63363, Early Bird: 54069. 1st Prize: 69989, 2nd Prize: 48875, 3rd Prize: 49566, Early Bird: BN 2543, VIP: BN 1840. Prizes 1 - 6: 187374, 187552, 88594, 308421, 12244, 14445. 1st Prize: 142135, Regular Raffle Supporters Prize: 10893, Credit Card Bonus Prize: 62202, Early Bird Prize: M of Cowes, Vic. 1st Prize: 320092, 2nd Prize: 451077, 3rd Prize: 524691, Book Sellers Prize: supporter from Lower Plenty, Early Bird 23/1 from Brighton North, Early Bird 24/4 from Preston. 1st Prize: 40, 2nd Prize: 1875, 3rd Prize: 2569, 4th-7th Prizes: 101, 594, 3553, 4025, Multibuy Prize: 3242. 1st Prize: 8268, VIP Prize: 24300. 1st Prize: 115, Autobuy Prize: 3609. 1st Prize: 291341, 2nd Prize: 102665, wrd Prize: 050320. 1st Prize: 1166638, 2nd Prize: 2172754, 3rd Prize: 1178840, Others Prizes: 123906, 275814, 1712259, 1445527, 520664. 1st Prize: 4165, 2nd Prize: 13954, 3rd Prize: 16768. 1st Prize: 350058126, 2nd Prize: 350019332, 3rd Prize: 350055416. 1st Prize: 399171, Early Bird: 60381. Prizes 1-4: 775062202, 584034218, 775187719, 582034793, Runners Up: 775214524, 775065979, 580024371. 1st Prize: 8328, 2nd Prize: 144226, 3rd Prize: 44380, Book Sellers Prize: 175992. 1st Prize: 7334, Autobuy Prize: 1821. 1st Prize: 1717804, 2nd Prize: 1816682, 3rd Prize: 1374454, Other Prizes: 496986, 296599, 512711, 1864631, 645752. 1st Prize: 6532, 2nd Prize: 10783. 1st Prize: 23853, 2nd Prize: 105371. 1st Prize: 468286, Regular Raffle Supporter Prize: 27619, Credit Card Bonus Prize: 285576, Early Bird Winner: 264880, Big Player Bonus Prize: 330324. 1st Prize: 16937, 2nd Prize: 12153, 3rd Prize: 508, MS Club Membership Prize: 8581. 1st Prize: 2799, 2nd Prize: 5405, 3rd Prize: 908, 4th Prize: 1123, 5th-29th Prize: 2326, 4399, 3883, 6360, 3466, 7462, 6941, 4957, 2073, 6881, 4652, 7324, 2050, 4661, 4576, 2932, 326, 132, 3478, 4680, 183, 3619, 4762, 7017, 4983. 1st Prize: 222884, 2nd Prize: 8615. 1st Prize: 16399, Other Prizes: 2799, 12091. 1st Prize: 6514, MS Autobuy: 1558.